Common Cause Wisconsin: U.S. House Passes DISCLOSE Legislation - Wisconsin Legislature Should Too/Redistricting Battle Begins in Wisconsin/More! U.S. House Passes DISCLOSE Legislation - Wisconsin Legislature Should Too/Redistricting Battle Begins in Wisconsin/More! Congress Moves Ahead on Disclosure - When Will Wisconsin Legislature Do the Same? Redistricting in Wisconsin: The Next "Big Thing"
1. Last Thursday, the U.S. House of Representatives passed the federal DISCLOSE (Democracy Is Strengthened by Casting Light On Spending in Elections) legislation (House Approves Legislation That Mandates the Disclosure of Political Spending) which is intended to address some of the problems caused by the U.S. Supreme Court's shocking, horrendous and misguided and bitterly divided 5-4 decision in the landmark case: Citizens United v. Federal Election Commission on January 21st. The Court's decision -- reversing over 100 years of settled law -- equated corporations and outside interest groups with real individuals, and in doing so, gave these entities the ability to influence the outcome of elections through unlimited, unregulated campaign spending. Common Cause strongly supported the compromise reform measure which passed largely along party lines in the House - 219 to 206. 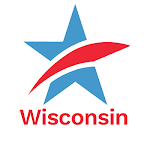 Wisconsin's five Democratic House Members voted for the measure (Tammy Baldwin of Madison, Steve Kagen of Appleton, Ron Kind of LaCrosse, Gwen Moore of Milwaukee and Dave Obey of Wausau), while our three Republican Congressmen voted no (Tom Petri of Fond du Lac, Paul Ryan of Janesville and Jim Sensenbrenner of Menomonee Falls). The measure now goes to the U.S. Senate and Wisconsin's Russ Feingold and Herb Kohl, both Democrats, who support the legislation. But an expected Republican filibuster may hold up or even block the DISCLOSE bill from consideration and an up or down vote -- in which it would certainly pass. Meanwhile, the Wisconsin Legislature adjourned for the year on April 23rd without passing needed legislation (Senate Bill 43) to require outside special interest groups who make widely-disseminated communications intended to influence the outcome of an election, reveal who their donors are. That same day, Common Cause in Wisconsin called on Governor Jim Doyle to call the Legislature into Special Session or for Wisconsin Assembly Speaker Mike Sheridan and State Senate Majority Leader Russ Decker to call the Legislature into Extraordinary Session to pass disclosure legislation so that it will be in place for the upcoming 2010 elections. But thus far, there has been nothing but deafening silence from Doyle, Sheridan and Decker on this matter -- which requires their leadership in order for it to be accomplished. But they continue to ignore our call and that means a flood of undisclosed corporate cash is likely to be utilized this year in statewide and legislative elections, including in the contests for Governor and Attorney General. Why Doyle, Sheridan and Decker -- who are all on record saying they support disclosure -- continue to take no action on this matter is an enigma wrapped in a mystery. If anyone knows why -- please enlighten the rest of us! 2. Whoever controls the Assembly and State Senate after this November's legislative elections will be in the driver's seat when Wisconsin's disgraceful redistricting process begins in early 2011. This issue is the "next big thing" for reformers and Wisconsin's current system is ripe for reform. Past redistricting by the Legislature has been a total mess. It is done completely out of the public eye, with hundreds of thousands of taxpayer dollars used to pay outrageously high legal fees to well-heeled and politically-connected law firms to produce increasingly uncompetitive legislative and Congressional district plans that always end up in federal court. It's time for the public to find out about and demand reform of this charade: The coming redistricting battle. On Sunday, Wisconsin's two largest newspapers editorialized about reforming the redistricting and primary election selection process. The Wisconsin State Journal specifically lauded California Governor Arnold Schwarzenegger's strong support for reform and cited Common Cause in Wisconsin's contention that Wisconsin needs a Governor who is really willing to be a leader on these issues. The Milwaukee Journal Sentinel also strongly endorsed redistricting and primary election reform. Stay tuned for more on this increasingly important issue in the weeks ahead. For more about our work on this issue, go here. 3. CC/WI and other reform groups continue to work to defend Wisconsin's Impartial Justice Law. Last Thursday, our able attorneys filed a new Motion to Intervene in the case in order to help bolster the defense of the measure by the Wisconsin Department of Justice. The defense of this new law -- the culmination of years of work by reformers -- is simply too important to leave anything to chance. That is why we have opted to do all we can to keep Impartial Justice from being destroyed by wealthy special interest groups and out-of-state anti-reform organizations and their lawyers who care little about Wisconsin's tradition of honest, incorruptible state government -- a tradition that includes a fair, impartial judiciary untainted by vast sums of special interest campaign cash. The cases are expected to be decided before the end of this year. U.S. House Passes DISCLOSE Legislation - Wisconsin Legislature Should Too/Redistricting Battle Begins in Wisconsin/More!Tweet this!